That new guy riding his Harley to the school wearing a shirt and tie and no helmet is none other than the new principal of Van Horn Schools, Charles Gonzales. He has an open door policy for the students, staff, and community, and in his office, you can see photos of him and his Harley prominently displayed on his bookshelf. 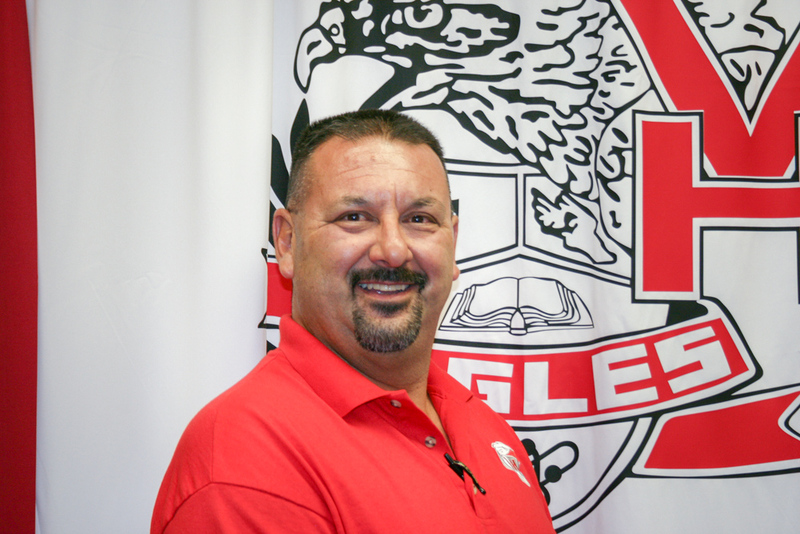 Gonzalez feels that his motorcycle is an excellent way to connect with his students by showing he is just a regular person and not a snooty administrator type. Gonzalez comes to Van Horn from Ysleta ISD where he was Assistant Principal. Gonzalez taught Career and Technology Building Trades in the classroom in Ysleta and Socorro for 9 years teaching students how to build houses before he moved into administration. He served as principal at charter schools in El Paso and as Assistant Principal at Ysleta ISD for a total of 12 years in administration. His educational background includes a Bachelors in Industrial Technology from Sul Ross State University; a Masters in Occupational Training and Development from Texas A&M at Corpus Christi and a Masters of Education Sul Ross State University. Gonzalez has lived in Clint for 22 years and is leaving his family behind in Clint to allow his daughter to finish her senior year in High School. He stated he will be spending 80-90 percent of his time in Van Horn heading home Tuesdays to see his daughter play and then home again on Fridays for the weekend. Gonzalez and his family have not yet looked into the future to determine whether or not the family will relocate entirely to Van Horn. However, Gonzalez stated, “he is committed to this position and committed to Van Horn Schools.” He indicated that he has never opened a new school before and that opportunity is enticing to him. He referenced his situation to the movie McFarland USA stating that he has a sneaking suspicion that the scenario in the film will happen to him and the community will become home to him. Why Van Horn? Gonzalez noted that in a large school district like Ysleta, there is an abundance of assistant principals with little opportunity to advance to principal. “Competition is extremely tough…Everybody is trying their best to be recognized as far as providing the best administrative job they can provide and then when it comes time to interview for the principal’s positions a select few…get offered the position. It is extremely difficult to advance.” Since he was a principal before, he decided he liked the challenges of the position and wanted to get back into it. When he found out the principal position was open in Van Horn, he decided to apply for it and was offered the job. Gonzalez was very complimentary about Van Horn saying that everyone has been very welcoming and wishing him and the school well. He noted the good things that are already in progress and felt fortunate to be able to continue the trend. Gonzalez discussed his plans for turning around the academic aspect of the District. Gonzalez stated that he believes “it all starts in the classroom” and that that the District “needs to lay a firm foundation for discipline. Teachers have to step their game up and really crack down on classroom management. If students are engaged from bell to bell, it doesn’t give them wiggle room for misbehavior.” Gonzalez was quick to point out that he does not mean to say that the faculty and staff are not well versed in classroom management. He noted that since classroom management is the very first step to take, all teachers need to be skilled in that area, and he is here to provide assistance to those teachers that need help with strategies to become more effective. 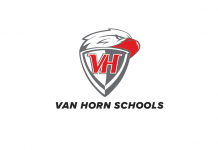 Van Horn Schools has put in place a discipline committee comprised of six faculty and staff and has put in place pretty strict rules in regard to discipline. Mr. Baugh has renovated the old agricultural building for DAEP (District Alternative Education Placement) and ISS (In-School Suspension) for grades 6-12. A room on site will be used for ISS and DAEP for elementary. Gonzalez also addressed plans to stem the tide of student exodus from Van Horn Schools to Valentine, Sierra Blanca, and homeschooling. He noted that CCAISD will be implementing a very successful program called AVID (Advancing Via Independent Determination). One part of AVID will have local college students work as tutors for the students. He noted that this gives the college students experience and an opportunity to give back to the school they came from. This experience may spark their interest and possibly encourage them to become teachers and return to Van Horn. Also, through AVID, Gonzalez stated that there will be a Wall of Fame showcasing local students who have gone to college or trade schools to show the current students success stories from the Van Horn Schools. Gonzalez shared that he had to relinquish his position as Mayor of Town of Clint to come to Van Horn. He also noted that he is stepping down from CEO to Advisor of Clint Fallen Heroes (clintfallenheroes.org), a nonprofit group that is near and dear to his heart. This motorcycle riding group honors those who have made the ultimate sacrifice for our freedom and provides scholarships to students of the JROTC. WELCOME TO VAN HORN, CHARLES GONZALEZ.